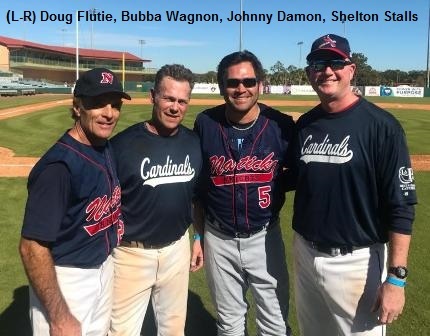 After a couple of years competing for the Championship, the Vituro Health Cardinals won the Championship game in 10 innings, with the winning run sliding across home plate after Cardinal shortstop Joe Williams drove a line single into right center field. It was a hard fought game, featuring a complete game effort by starting pitcher Steve Becker. The Cardinals in fact threw three complete games in the playoffs capped off by Becker’s gem. Shelton Stalls and Michael Player also threw complete games, beating two very worthy opponents. The MVP trophy was awarded to Greg Hammond, our catcher and cleanup hitter. 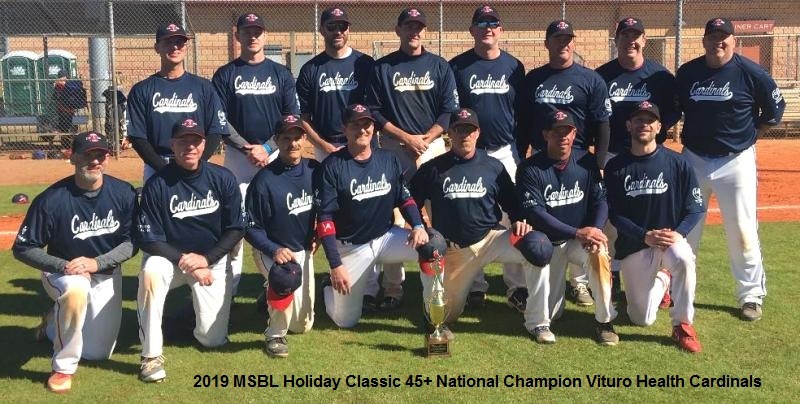 While providing some much needed clutch offensive, he also caught all but three innings of the tournament, some 40+ innings over a four day span!! Overall, it was a complete team effort, from a team of 16 players, the majority of which are from Birmingham, Alabama. We were also fortunate to have two players from Chicago North and an outstanding outfielder from Atlanta, Georgia.